The summer is right around the corner, which means wedding season will soon be in full swing. As a bride, it is important to start thinking about your teeth before your big day. There are numerous whitening kits available, but it is a smarter idea to consult with your dentist. 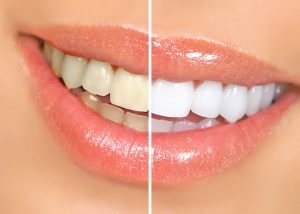 What is Involved with Teeth Whitening? It is common for your teeth to become stained from eating and drinking certain foods and beverages. Teeth can become discolored from smoking as well. To get a wedding white look, it is possible to use a bleaching material on the outer layer of your enamel. OTC Products. There are many ways you can try to obtain a whiter smile. Whitening toothpaste are quite common and contain mild abrasives that scrub teeth to remove stubborn stains. Many do not contain harsh bleach. They use polishing agents to return the white color to teeth. At-Home Kits. At-home bleaching kits usually contain peroxide, which bleaches teeth. They often come with gel that is placed in mouth trays. Whitening strips may be applied in the same manner. The chemical concentrations are lower than professional treatments, so the results may not be as good. In-Office Treatments. In-office kits are similar to in-home products, but they contain more potent ingredients. Laser light may be used to enhance the results as well. 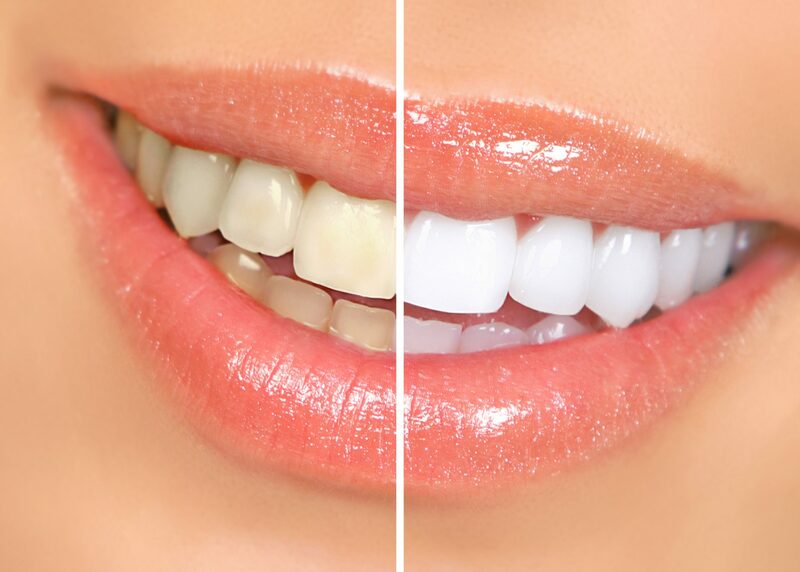 Professional teeth whitening provides a number of advantages over in-home products. While working with a dentist, your treatment is designed specifically for your needs. Also, whitening under the supervision of a dentist adds safety to the procedure. Many people who use OTC products end up with irritated gums, cheeks, and extreme tooth sensitivity. A dentist takes precautions to keep the bleach away from sensitive areas in your mouth. The best part is a dentist’s treatment can usually be completed in under one hour. The American Dental Association, recommends individuals interested in tooth whitening should consult with a dental professional. This expert will examine your mouth and develop an effective course of action. Not everyone finds the best results with the same treatments. Dr. Dana Walters works with brides to help them develop the brightest smiles possible. He performs whitening and other oral care procedures in a comfortable environment. If you have a wedding soon, make an appointment today.